Inherent in all difficulty is its power to teach us invaluable truths. Life with chronic illness is no exception. Things change when people find themselves immersed in the unstable world of chronic illness. The quality of my life changed, dramatically, during the years that I struggled with both CIRS (Chronic Inflammatory Response Syndrome, triggered by toxic mold exposure) and the autoimmune disease, Hashimoto’s Thyroiditis, as recounted in my story Through the Valley . After recovery, life changes continued in response to the demands of living a lifestyle of mold avoidance, which I’ve written about in the article Barren. Suffering through that health crisis was extreme –not what I would put on the pro side of any list…except for this one thing. It opened my eyes to the boundless resources that lie hidden, deep inside each of us. Humans are resilient, because of their ability to tap into those resources, yet most of us stumble through life, unaware. Think of what we could unleash if we faced our giants with focused eyes of awareness and intention -whether battling health concerns or any other challenge that life can hurl at us! I am stronger than I realized. It takes incredible strength to deal with all the challenges that chronic illness presents. While in the midst of my health struggle, I didn’t feel strong at all. In fact, I felt more like a twenty-pound weakling trying to fight a roaring, chest-beating, Godzilla monster. It wasn’t until I got some distance from the experience that I could see how strong I actually was! It’s an amazing and empowering thing to realize that you are capable of not only surviving great difficulty, but that you are fully able to courageously, tenaciously fight your way through those challenges. Each of us has unexposed resources of strength. Awareness, around that truth, bolsters our ability to access those deep wells of personal tenacity. I am more capable than I ever knew. In the early days of my illness, the lack of answers from my physicians demanded that I take charge of uncovering vital information for my healing. The internet provided rich resources of useful material, and I was able to assimilate a large volume of technical information regarding the functioning of the body and alternative healing strategies. Too often, we sell ourselves short. We are more capable than we think, and the realization of that fact can become the secret weapon that catapults us forward. I am more intuitive than I was aware. The internet is an invaluable tool for uncovering information, however, you can also find advice that is not helpful and can be downright harmful. Intuition allowed me to scoop up great amounts of information, sift through the ideas, and blow away the chaff. We are all dealing with different versions of health challenges, which requires personalized approaches for healing. Chronic illness is not a one-size-fits-all problem, which is precisely why answers can be illusive. Each of us has an inner, intuitive energy that helps guide us toward our most authentic truth. I call that source God. You may call it something else. There were many times, when I felt impressed to explore a pathway that didn’t logically make sense in the moment but turned out to be a key piece of my healing puzzle. I was intuitively led to the functional medicine physician, who was finally able to give me some real answers. 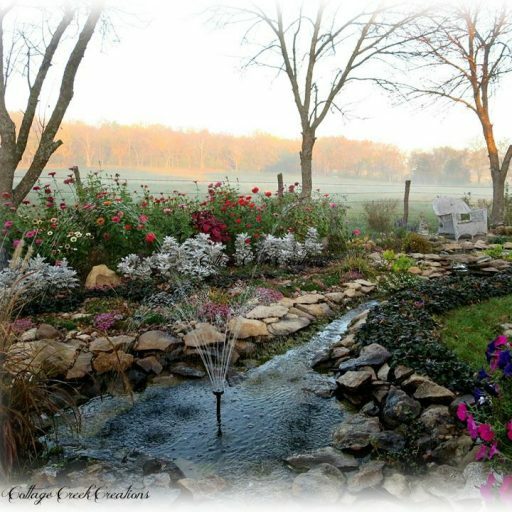 Becoming intentional about finding stillness helped me connect with divine Wisdom, which directed me toward the clues that would ultimately prove to be the master keys that opened the doors to my healing. I am more creatively resourceful than I ever imagined. Chronic illness can zap your physical, mental, and emotional energy. Dealing with the day-to-day problems in a ‘normal’ life is hard enough. Trying to figure out how to plow through a day and do all the things that are necessary to care for yourself and your family (while feeling like a twenty pound weakling) takes some pretty resourceful and creative thinking. The simple act of prioritizing a long list of ‘to dos’, in order to weed out the ‘don’t have tos’, is a monumental task when you can barely remember how to make toast. Meeting children’s demands and school schedules, along with an employer’s expectations, becomes utterly exhausting. It takes a large dose of creative resourcefulness to come up with alternatives that allow us to meet the demands of the day, while caring for ourselves in the best way possible. I have become a more compassionate (and way less judgmental) individual. Suffering is a callous teacher…but, it’s a good teacher. Suffering with chronic illness taught me how to be more understanding, in the face of someone else’s misery. It taught me to listen, without judgment, when others speak of their own hardships. It taught me to respect someone else’s experience of suffering, in spite of my own lack of knowledge or experience with that particular brand of anguish. There is an old adage, “Before you judge a man, walk a mile in his shoes”. I believe those, who have experienced suffering, are able to acquire a great capacity for compassion and understanding, which can blossom into a beautiful gift for others. I am more inspired to become a light for someone else’s darkness. Because of my own long, difficult, often discouraging journey through the valley of chronic illness, I have become impassioned to help others who struggle. Finding ways to encourage others to hold on to hope has become my way of ‘paying it forward’. Hope is what keeps the possibility for healing alive, and I will be forever grateful for those incredible gifts of Light, during my darkest days. Sharing what we have learned through difficulty can become someone else’s lighthouse. Recounting a common experience of difficulty lends validation for those, who are confused by their own troubling experience. Speaking words of compassion and understanding soothes the frayed edges, for those who suffer. Turning our own dark clouds into someone else’s silver lining is the purest form of gratitude. Perhaps these insights will help illuminate and expose your own hidden storehouse of capability. I don’t know you, but I know the struggle, and I care about your outcome. You are not alone. Keep searching, and above all, never give up! You might also be interested in reading How I Changed My Mind and Opened Up New Possibilities For Healing. I also live with an auto-immune disorder. I have Lupus SLE and one of the biggest lessons it has taught me (on top of those you listed above) is that I need to always listen to what my body is telling me. If I am tired, I need to rest. I used to always push and push myself to “feel normal” but once I gave in and learned to listen to my body, I have been much healthier overall. Yes, Lisa, that is SO important! Our bodies are great communicators. The trick is the listening part! 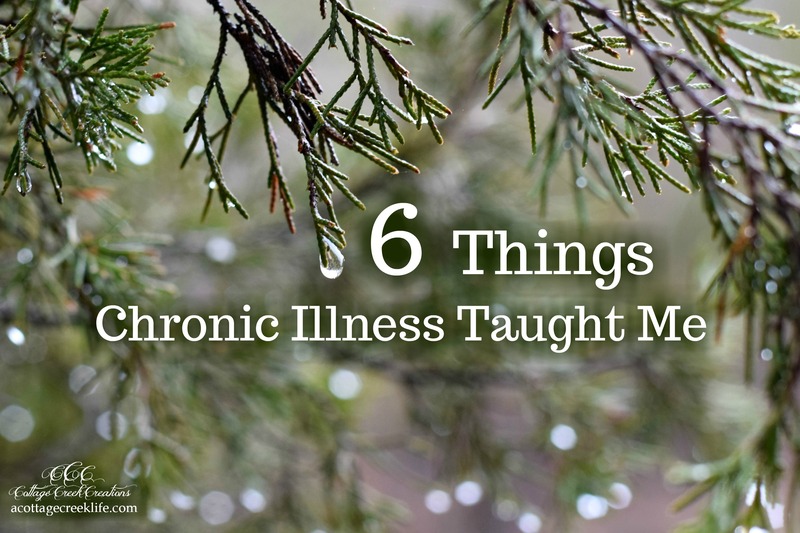 There are many of us, who are learning how to overcome auto-immune/chronic illness. There are answers. Best of luck for your continued journey.